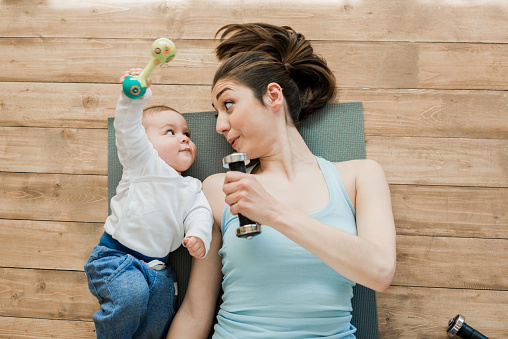 Let’s looks at ways to exercise with your baby. While infants are often plenty active on their own, physical activity is an important part of any stage of life. If you have an infant in your life, here are some ideas to get both you and baby moving! Ways to Exercise with Your Baby 1. Join a Parent-Infant Play Group. Many gyms and community centers offer play groups or form your own! These programs often have leaders trained in child development and can help you keep your baby active safely. Also, these groups are a great way to meet other new parents. You can also look for a parent-baby exercise class, such as baby and me yoga. Ways to Exercise with Your Baby 2. Get Outside. Walk or jog with your baby in a stroller, or go for a bike ride with your infant secured in a baby safety seat. The new smells, sounds and views will stimulate your baby’s senses. Keep stroller time limited to no more than 60 minutes and bring a blanket with you. When you are ready to rest, let baby crawl and explore too. Ways to Exercise with Your Baby 3. Engage Infants in Active Time. Activity does not have to be complicated. For example, include lively baby games in each day. Hold playtime on the floor, and let your infant explore his or her surroundings. Encourage your baby to move their arms, legs, feet and hands! Play time can also help your baby learn to crawl, roll and walk. Activity also encourages cognitive development, and might set the stage for an active toddler. 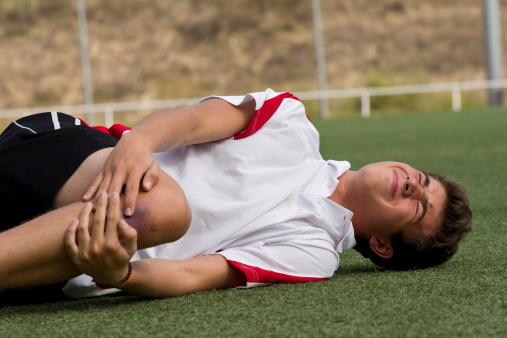 Always check with your health care provider about age-appropriate activities. If you are looking for more inspiration, schedule an appointment with KareBoost Health for a free health consultation with Dr. Karen Leibowitz, and see how you can be healthier today! A lot of what we eat today is processed foods. Some processed foods have ingredients added, some are fortified with nutrients, and some are packaged to last longer. Even foods labeled natural or organic can be processed. 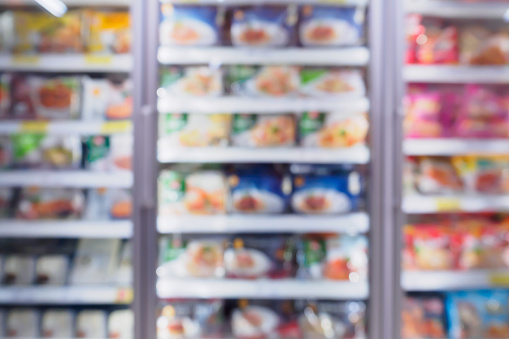 More people are trying to avoid processed foods, and the American Heart Association reports that 50% of consumers have tried to eat fewer processed foods. Here are 3 tips to keep in mind next time you are at the grocery store. 1. Choose Healthier Processed Foods. 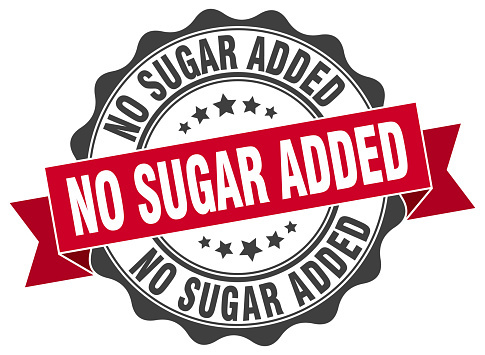 Read food labels and look for the American Heart Association Heart-Check mark on packaged foods. Not all processed foods are unhealthy. For example, frozen produce without any added salt or sauce is a healthy, less expensive way to add produce into your diet. 2. Seek Alternatives. Try replacing some of the processed foods in your diet with healthier options. Cook more meals at home, look for less processed options such as frozen fruits and veggies, and add more produce to your diet. 3. Watch out for Sodium. Extensive research has shown that too much sodium is related to high blood pressure. Most of the sodium in our diets comes from highly processed foods, not the salt shaker. Watch out for cold cuts, cured meats, pizza, bread and soup. For example, try cooking simple soups and pasta sauce instead of buying them prepared, to reduce sodium. Keep these tips in mind next time you are at the grocery store and feel empowered to make better choices! If you are seeking even more ways to keep your family healthy, schedule a free consultation with Dr. Karen today!